Lionel Messi could be among a number of key players rested from Barcelona’s game against Celta Vigo on Tuesday, according to coach Ernesto Valverde. Barca broke the record for the longest unbeaten streak in La Liga on Saturday when they beat Valencia to make it 39 league games without defeat. But, with an 11 point lead at the top of the table and the Copa del Rey final against Sevilla to come on Saturday, Valverde is ready to rotate for the trip to Galicia to face ninth-placed Celta. “Resting Messi is a possibility like any other, but I think he is playing well, the other day he played a good game,” Valverde said on Monday. Messi has only recently recovered from a knock to his knee while Sergio Busquets has been playing through the pain of a broken toe. Ivan Rakitic suffered a broken finger last week and may also miss out. 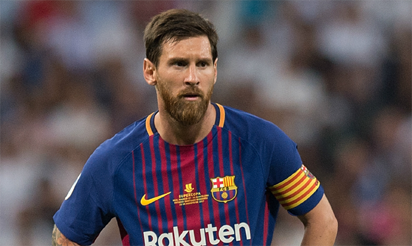 The post Messi may be rested against Celta Vigo – Valverde appeared first on Vanguard News.